Levi Strauss & Co., also known as Levi’s, is an American clothing company which primarily focuses on manufacturing denim jeans. The company has expanded to produce sweaters, underwear, socks, shoes, and accessories. The company was founded by Levi Strauss in 1853. Its first store offered dry goods in San Francisco. The company introduced its Two Horse Logo in 1886, which is still used today. 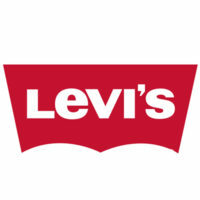 Levi’s now has around 2,800 stores in about 100 countries around the globe. It is one of fashion’s biggest companies and employs around over 16,000 personnel. Employees are given the option to select the specific healthcare plans which best suits their needs. They also enjoy product discounts, and may also qualify for discounts at partner companies. The company has an Employee Awards and Recognition program to honor its top performing employees and teams. It also offers awards for employees who strategically contribute to the company’s operational plans. How old do you have to be to work at Levi’s? Employees must be at least 16 years old to be qualified to work at Levi’s. The company also runs a Summer Internship Program to accommodate students who wish to gain work experience. Retail Support Representatives offer general customer services. This includes greeting and assisting customers with their purchases. They also maintain the store’s appearance and cleanliness in accordance with company standards. Sales Associates aim to drive sales and brand loyalty the quality services. They are responsible for the store’s basic alteration services. They are also tasked to train and educate employees on serving customers. Sales Stylists are tasked with implementing merchandising functions and store operations. They must exhibit product knowledge to aid customers. They assist in making product inventories and pricing merchandise. Assistant Store Managers helps develop the store team and ensure operational success. Their tasks include payroll management, cash handling, inventory control, and related store procedures. They assist in recruiting and developing new staff members. Levi’s also offers position in the fields of Commercial Operations, Design, Finance, Information Technology, and Marketing. Global job opportunities include District Managers, Account Executives, and Merchandising Operations Managers. The company requires applicants to create an online profile. They must review the essential requirements for the position before submitting an application. Applicants may opt to upload an updated resume for easier account creation. The company accepts online application through a user-friendly system. This is accomplished by creating applicant profiles for easier tracking and access to available positions. Candidates may easily update their profiles in the system. The application form must contain the applicant’s full name, country of origin, and contact details. Applicants must take note of required fields to be filled out. The resume shall briefly contain the applicant’s skills and qualifications. It must clearly reflect his recent scholastic records. The resume may also contain the applicant’s past jobs, if any. Applicants are advised to learn about the company’s history and heritage. The interviewees are tested based on their knowledge of the company’s background, and if they are suited for its objectives and image. The company revolves around the values of empathy, integrity, originality, and courage. They motivate employees to be innovative and contribute to the brand’s causes. It take pride in ethical practices and deep sense of social responsibility. Levi’s has received several awards for its commitment to serve the community. Their awards include the Global Citizen Award for Improving Workers’ Well Being, and the Green Business of the Year Award from San Francisco Business Times. The brand is best associated with the iconic blue jeans which was created in 1873. It is also known for producing the riveted-for-strength workwear. Until today, the company is renowned for their quality denim jeans. The Levi Strauss Foundation aims to address issues like HIV prevention and promotion of human rights. The company also supports case studies in women’s health, anti-racism, and other social aspects.